When Mukesh Ambani had given away free data plans for plans and splurged Rs. 1,34,000 crore into launching Reliance Jio, critics had scoffed. They’d said that competition was intense in the telecom sector, and even if Jio ended up coming up trumps, the investment would be hard to recover. But Reliance is now confirming what some had suspected — Jio was always meant to be much more than a mere telecom network. 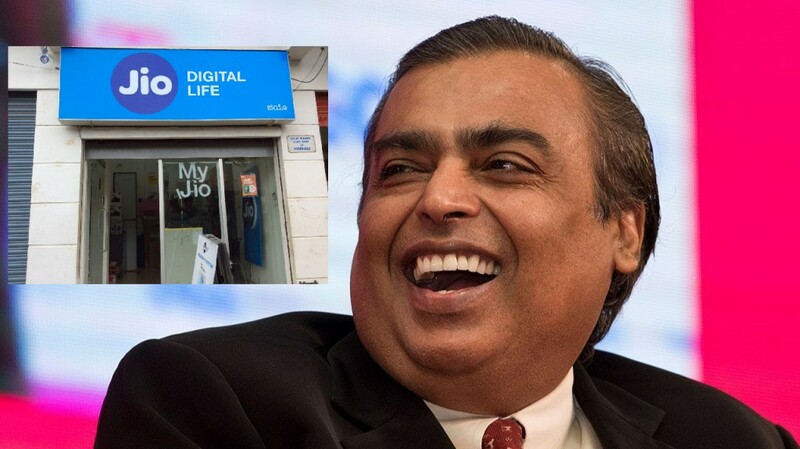 Reliance will use its 5,100 Jio Point stores across 5,000 towns and cities in India as a last-mile connection point for its e-commerce venture, ET reported. These stores will be used to tap into customers without internet access or who have never shopped online, company executives said. Reliance already has a thriving retail presence — it owns Reliance Retail, which runs brands including fashion chain Reliance Trends, grocery chain Reliance Fresh, consumer electronics chain Reliance Digital, and e-commerce arm AJIO including others, and is India’s largest retailer in terms of revenue. And Reliance Retail now plans to use Jio’s unprecedented reach to further grow its marketshare. Reliance Retail will undertake assisted sales of sugar, pulses, soaps and biscuits to apparel and shoes from the Jio Point stores to be delivered to door steps using the existing Jio distribution network. Reliance will also set up e-commerce kiosks in Jio Point stores from where store executives will help consumers place orders. Reliance Retail already has the plan in motion — it is reportedly undertaking sales for televisions, refrigerators and washing machines from Jio Point stores, and these sales already account for 10% of its overall consumer electronics sales. It now plans to extend the same model to grocery, personal care, apparel and shoes. Reliance has thus far been on the sidelines as far as its e-commerce plans are concerned, but there have been rumblings about an impending entry into e-commerce for a while. It’s taken some baby steps in the direction — Reliance Trends now has an online website, where users from cities can order electronics, much like how they’d order from Flipkart or Amazon. Reliance hasn’t been promoting Reliance Trends all that much, but maybe it’s waiting for a big reveal — if it can integrate its thousands of Reliance Jio stores within its e-commerce venture, it can instantly have the on-ground coverage that Flipkart and Amazon have taken years to build. Knowing Reliance, it’s probably setting up a plan in motion from where it can make a grand entry into e-commerce, and stamp its authority on the market. And the integration of Jio stores into the network might be the ace it has up its sleeve.